A group of milk tea fans brings in a Hong Kong brand already loved by Filipinos back home. 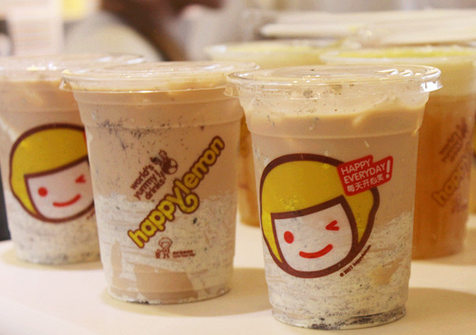 Know the story behind Happy Lemon’s success in the Philippines. A group of friends used to go all the way to Hong Kong to satisfy their milk tea cravings. Buying milk tea from different street stalls was the highlight of their trip, until one day, one of them suggested to try the teahouse called Happy Lemon. In the Happy Lemon store in the Mong Kok district in Hong Kong’s Kowloon peninsula, all of them had a taste of its selections and immediately loved its concoctions. “We instantly knew that it would be a hit if we brought Happy Lemon to the Philippines. Aside from the delicious drinks, the brand’s happy image was a sure fit to the Filipino’s fun disposition,” relates Kelvin Gaisano, one of the six who brought the brand to the country. 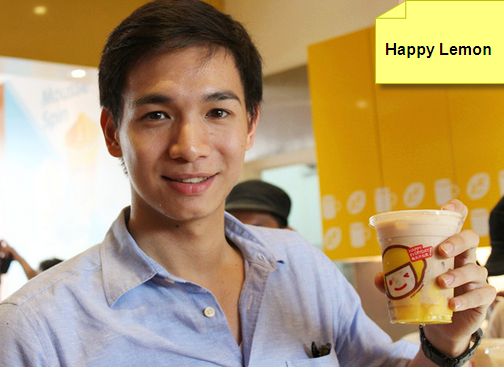 Gaisano, together with Chris Tiu, Edward Go, Andy See, Wesley Pardilla, and Charles Chua, got serious in researching about the company, and looked for ways to convince the owners of Happy Lemon to grant them a franchise to operate in the Philippines. Having the extensive experience in managing a business, Kristine Gaisano, Kelvin’s sister, was brought into the group. Plus, having worked together before, the boys knew that they needed a girl to keep them organized. 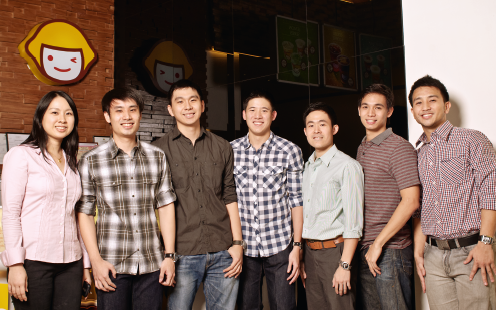 After several months of negotiations in 2010 and a startup capital of P20 million, the owner of Happy Lemon granted the group the franchise to bring in and operate the teahouse in the Philippines. It was fortunate that two in the group, See and Kristine, were fluent in Mandarin—the training conducted by Happy Lemon was conducted in that language. Back in the Philippines, others scouted for possible locations for their first store, which turned out to be a prime spot at the Promenade of the Greenhills Shopping Center in the city of San Juan. “It was the perfect spot, as our initial target market was the Chinese-Filipino community who was already familiar with the brand,” says Kelvin. Greenhills is one of the areas in the metropolis where a lot of Filipino-Chinese reside. Even if most Happy Lemon stores abroad are usually kiosks, the group opted to have a full store. “We noticed that Filipinos prefer hanging out in a comfortable place while drinking coffee. We thought: why not do the same for milk tea?” recalls Kelvin on their planning before opening the business in November 2010. As operators of a franchise, the group sought to ensure that their products were of the same quality as those in Hong Kong and China. Hence, they import majority of their ingredients from the same suppliers of Happy Lemon. But whenever they could, the group would use locally sourced ingredients— they make sure though that the local ingredients do not alter the drinks’ taste. The strength of the franchise is that they have a research and development facility in China that is always on its toes in creating new, fun, and delicious drinks. “The company makes sure to regularly create new items for the menu, including innovative products like the Rock Salt and Cheese lines,” says Kelvin. Indeed, Happy Lemon isn’t just about serving a wide variety of interesting and delectable drinks. Whether the customers are ordering their favorite drink, trying something new, or hanging out with their friends, they go inside feeling the fun, creative, and happy atmosphere. “We ensure that the people visiting our store have the best experience possible. We inject fun and creativity in everything. Happy Lemon is a place where customers can stay happy every day,” says Kelvin. This article was originally published in the June 2011 issue of Entrepreneur magazine (with updates from the editor). Subscribe to the print or digital version here.